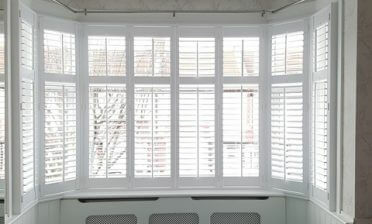 Tom was on hand in Twickenham in West London to install these specially made shutters for a new client. 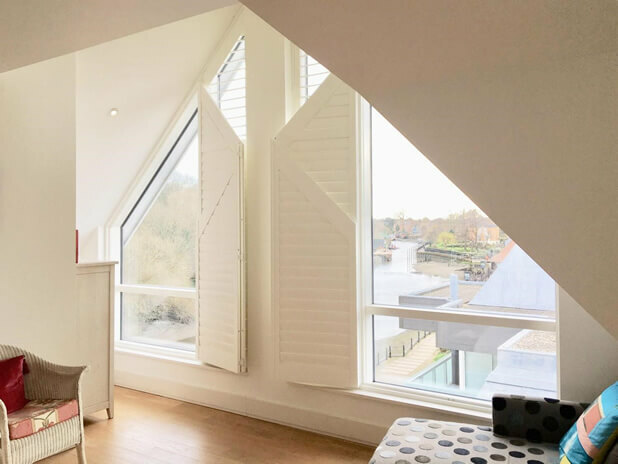 The client came to us because they were finding it very difficult to dress this window properly with blinds and curtains proving too difficult to fit to the shape. 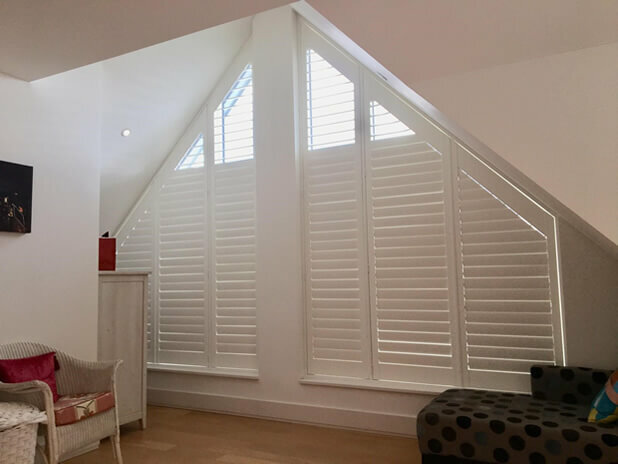 We explained to them how our shutters could be perfectly crafted to work with this shape of window and that the design of the shutters would help show off the amazing shape creating a beautiful look and the functionality that they need. 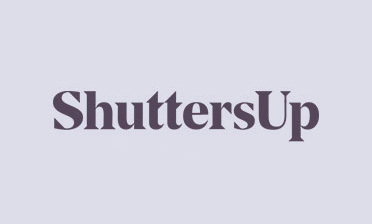 In fact our shutters offer both the looks and the extra functionality that you will only get with plantation shutters. 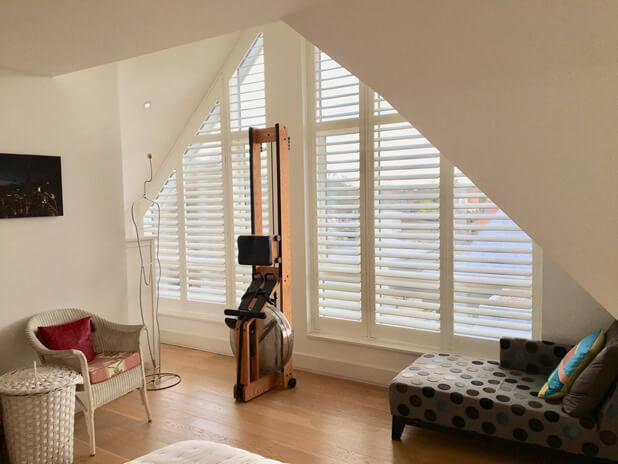 By taking millimetre perfect measurements of the window area and designing a solution, we were able to offer these fantastic shutters that as you can see also fold neatly, can be adjusted in many ways and make easy work of regulating lighting and privacy at any time and on multiple sections of the shutters! We used our thickest sizing of louvre in 89mm for offering maximum natural light into the room as well as privacy, hidden tilt rod systems and finished in silk white to create a contemporary, modern appearance to match the client’s property using our Fiji range.